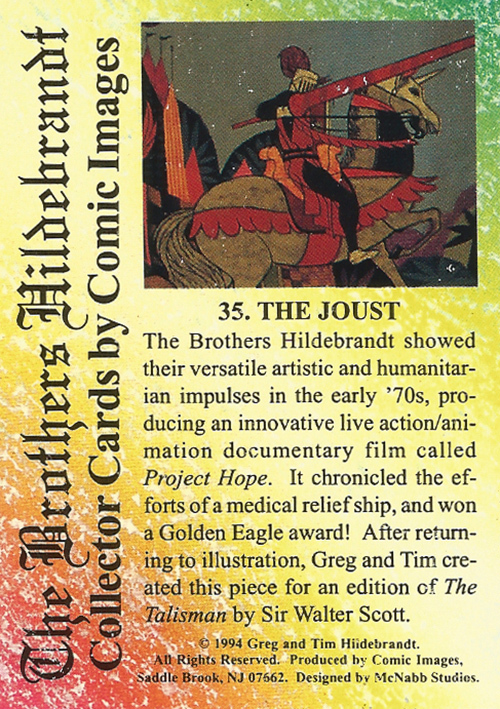 The Brothers Hildebrandt Collector Cards, cards #31-45 (1994) | 'TAIN'T THE MEAT… IT'S THE HUMANITY! 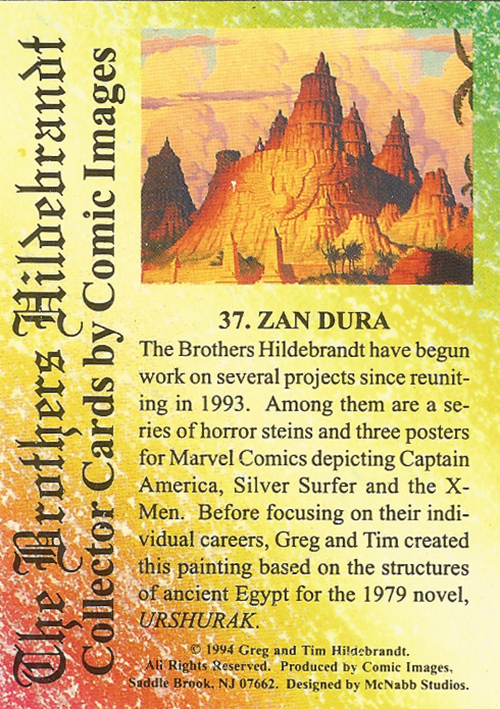 The Brothers Hildebrandt were twins Greg and Tim, born in Detroit in 1939. 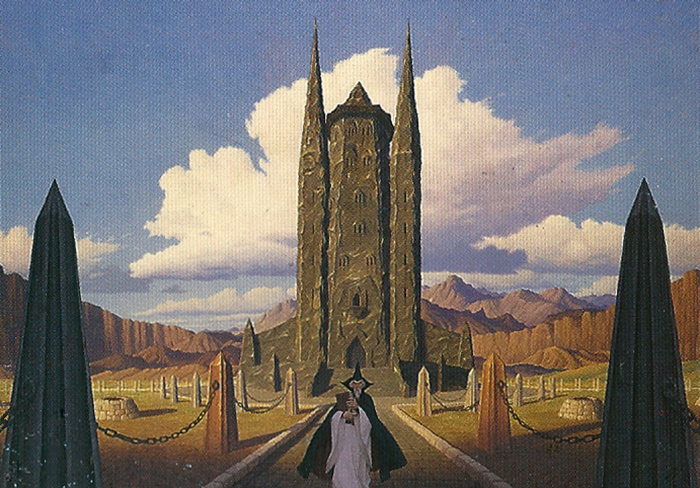 After leaving school they found modest success as documentary film makers before turning to book cover illustration in the early 1970’s. 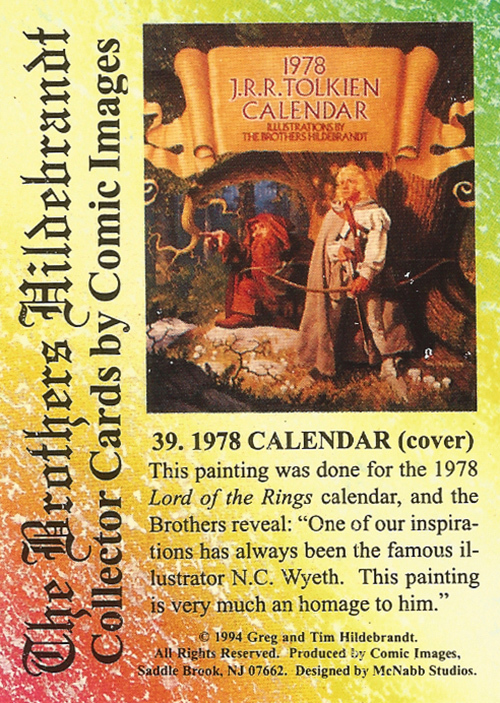 Their big break came in 1975 when they were commissioned by Ballantine Books to provide paintings for the 1976 J.R.R Tolkien Calendar. 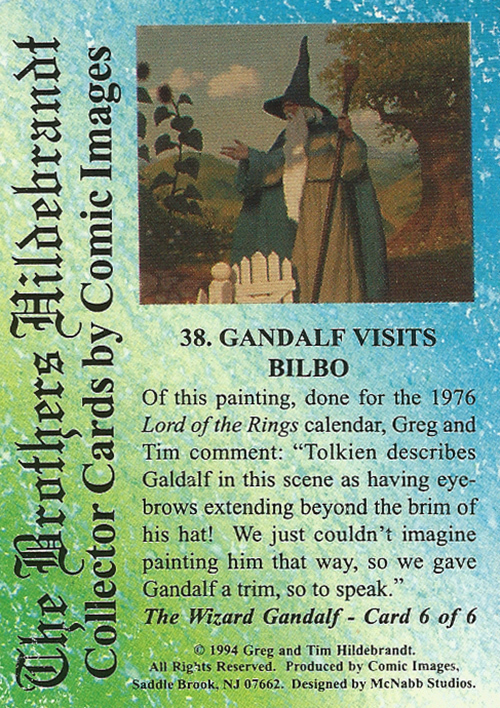 The calendar became the best selling calendar of all time, and propelled Greg and Tim to the top tier of fantasy art. 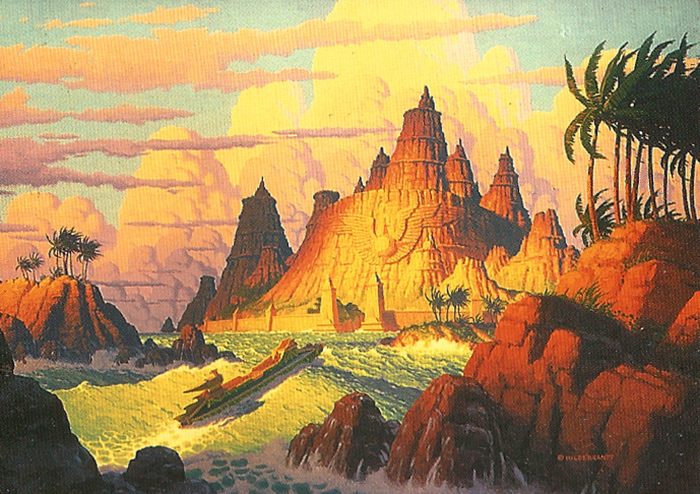 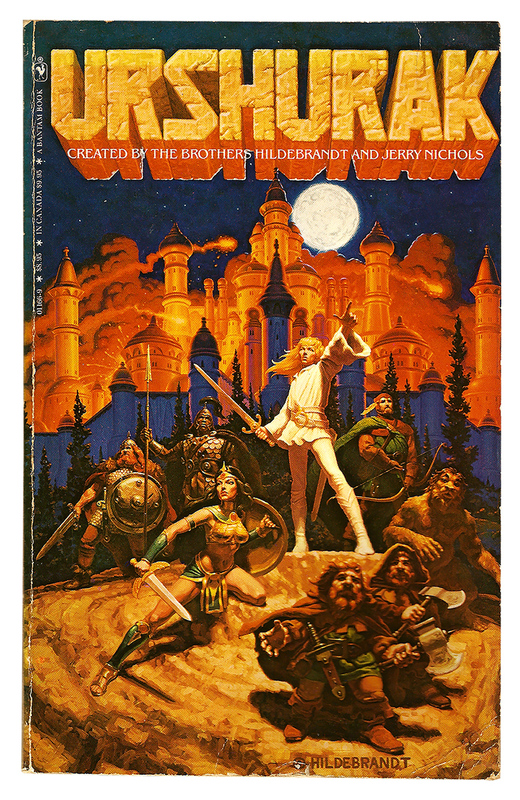 In 1977 they cemented their reputation by providing both the cover and interior illustrations to Terry Brooks’ The Sword of Shannara — the biggest selling fantasy novel of the 1970’s — and for painting one of the original posters for Star Wars, which in turn became one of the best-selling posters of all time. 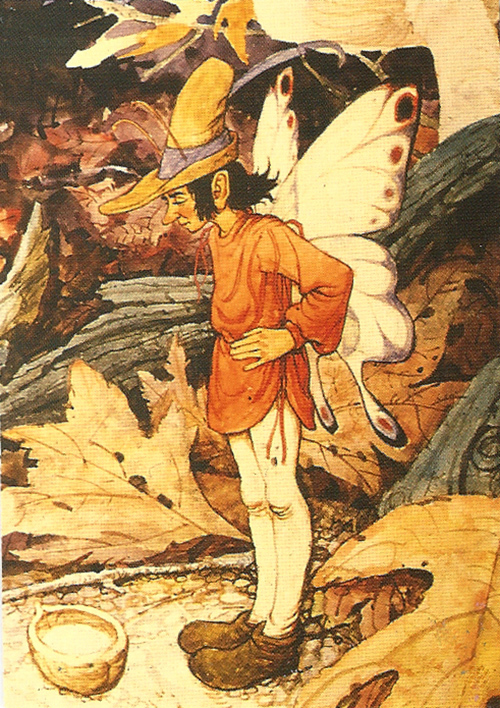 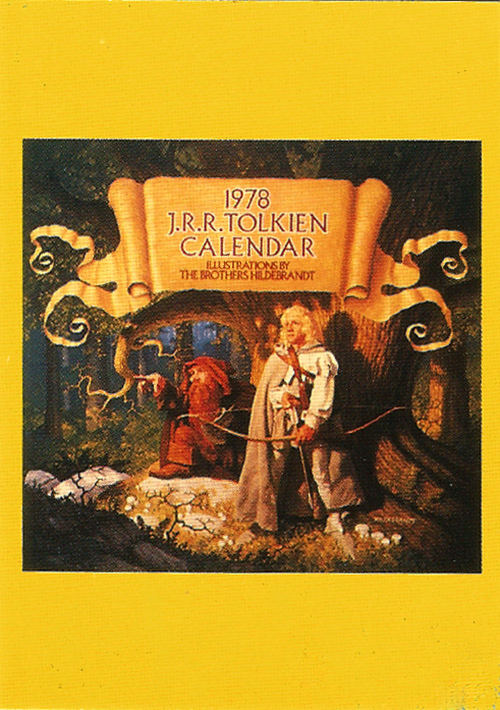 Two more hugely successful Tolkien calendars followed in 1977 and 1978 before the brothers bowed out of the world of Middle-Earth to concentrate on their own project, the fantasy novel Urshurak (published in 1979). 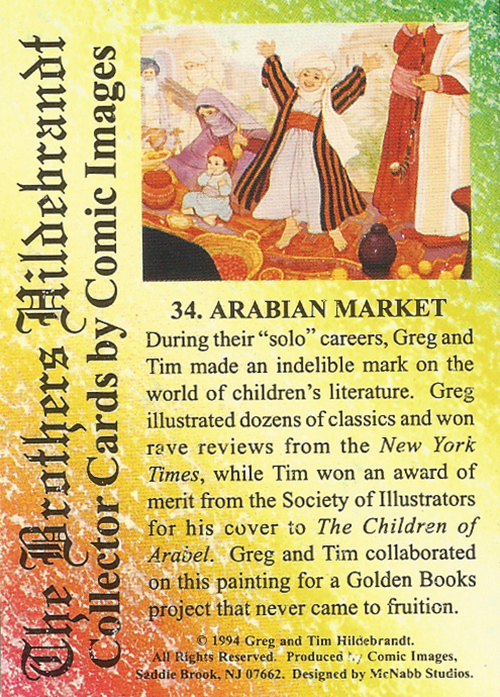 In 1981 the Brothers released one more calendar, an original one based on the theme of Atlantis, before going their separate ways: Tim concentrated on advertising work while Greg continued working as a book illustrator. 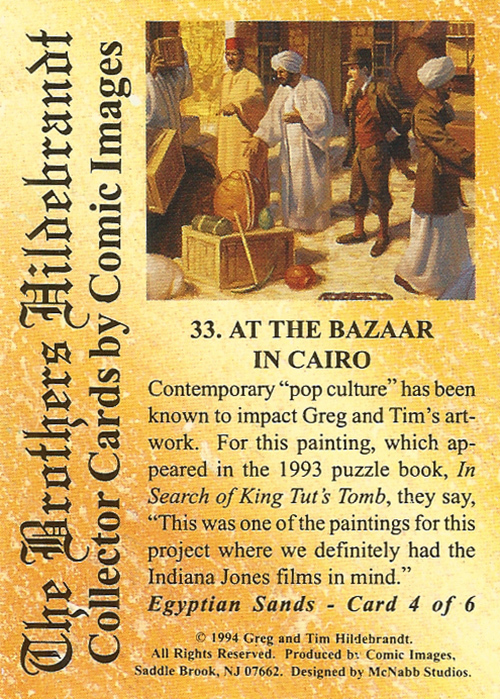 They eventually reunited to work on the Marvel Masterpieces 1994 Edition trading card collection. 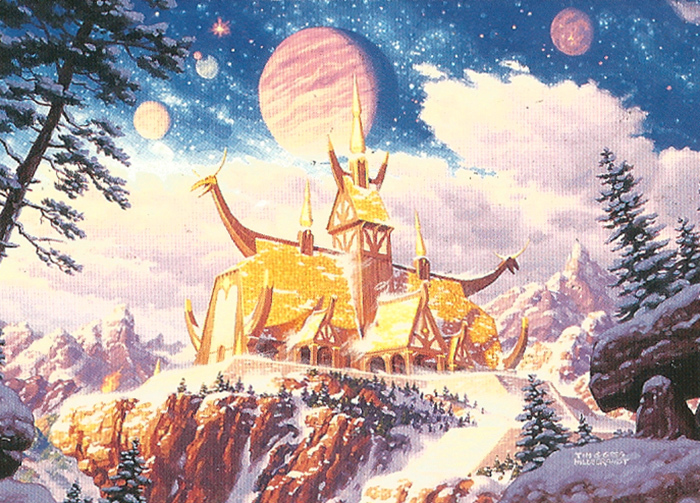 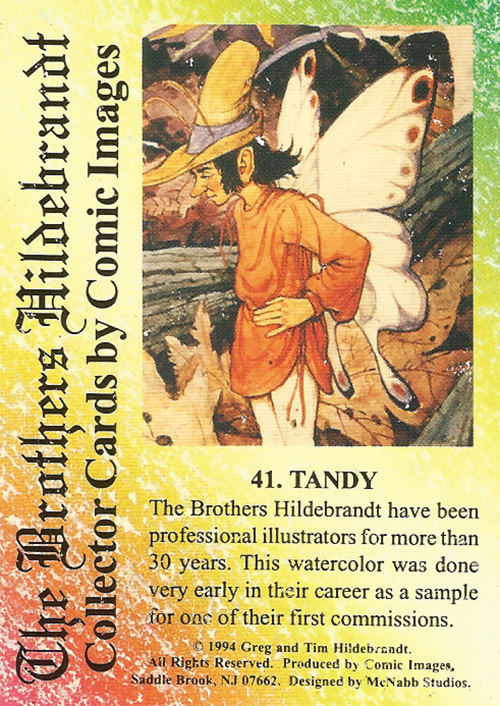 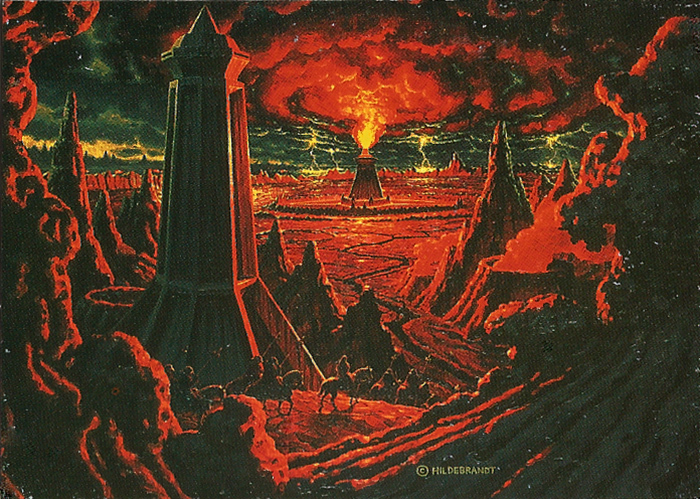 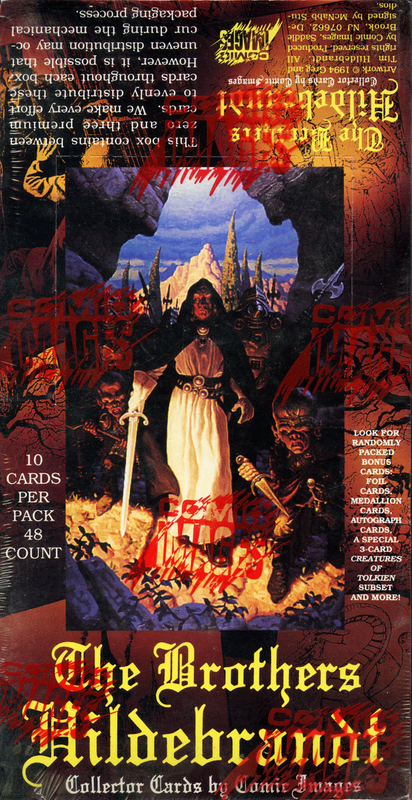 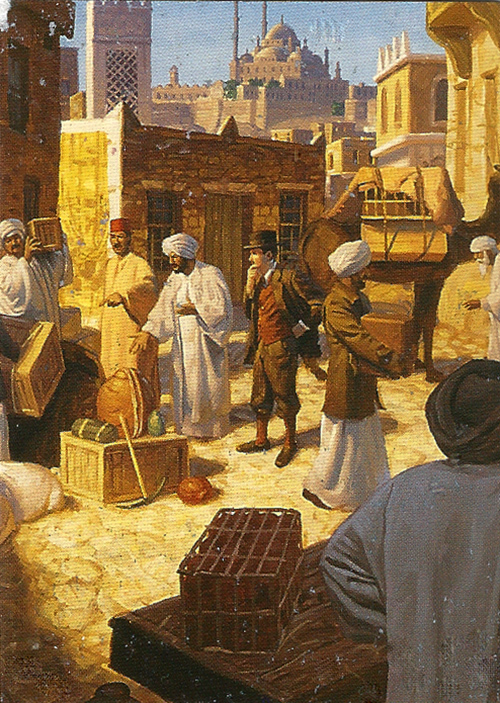 The Brothers Hildebrandt Collector Cards comprised of 90 full-colour cards measuring 2½ x 3½ inches that shipped in blind packs of ten cards per pack. 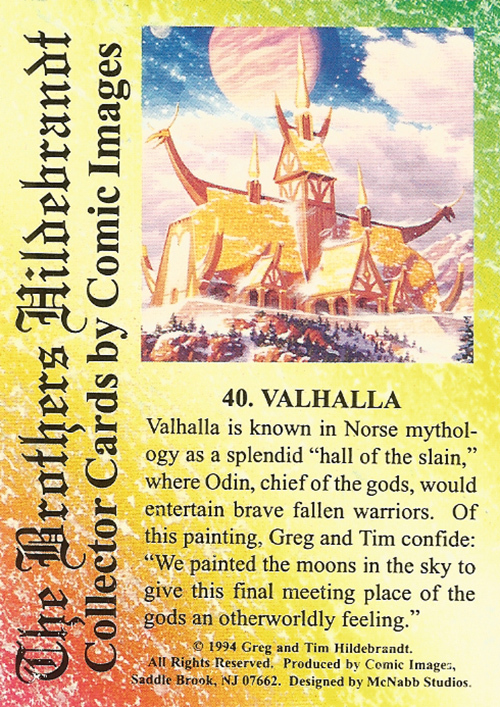 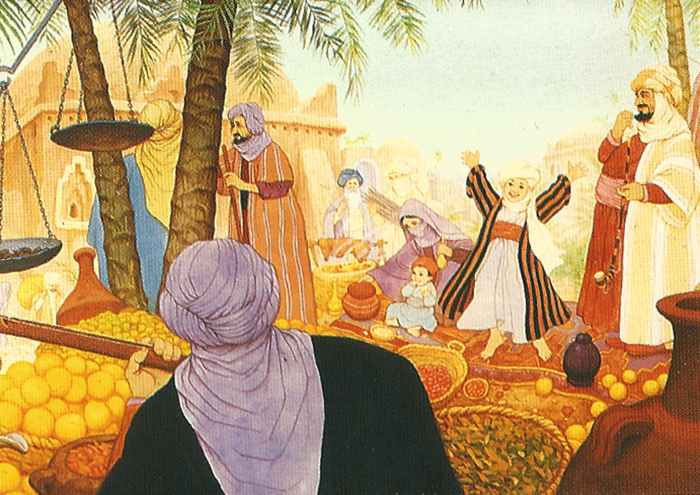 Each card featured a full colour painting on one side and a short caption by the Brothers on the other. 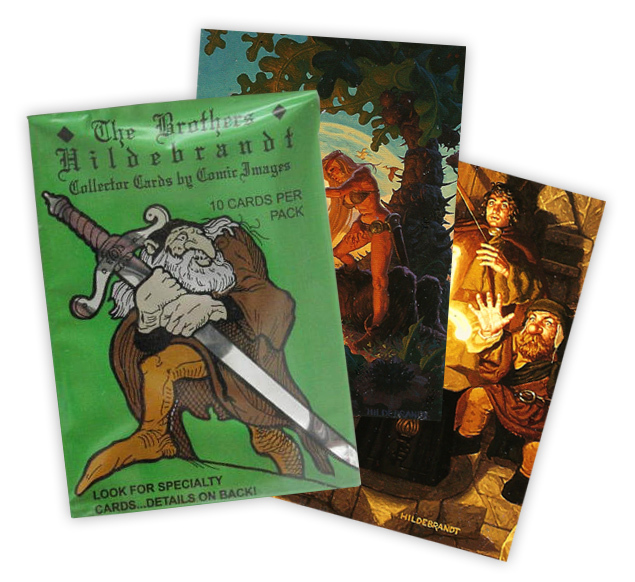 Several hard-to-find foil chase cards were also inserted randomly into packs, as were 500 cards personally autographed by the twins. 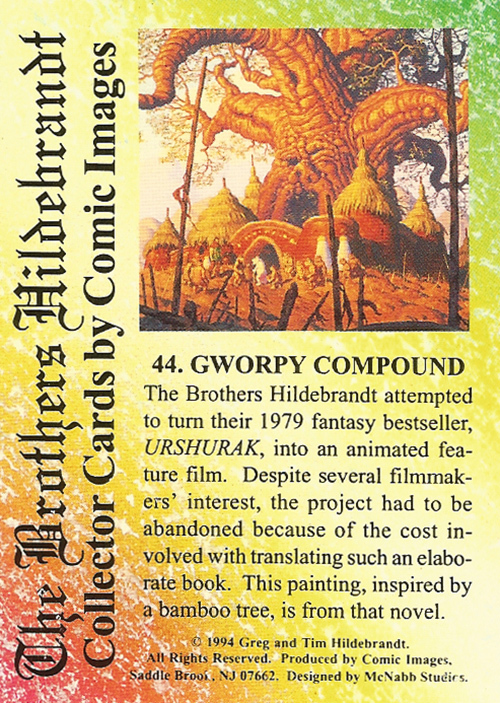 There’s some good illustrations in this third batch of cards. 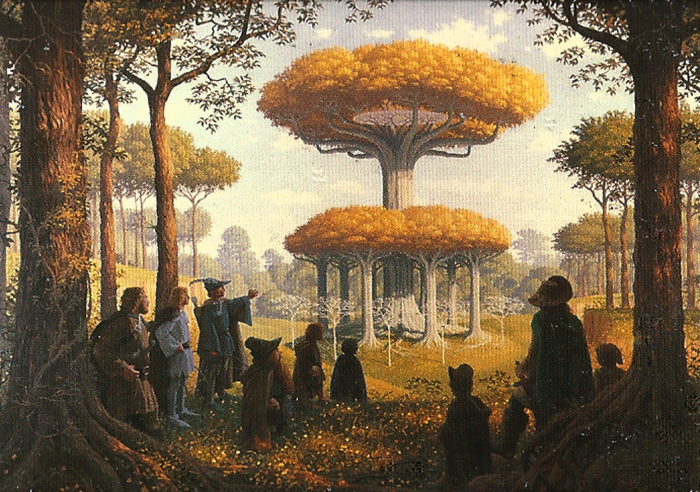 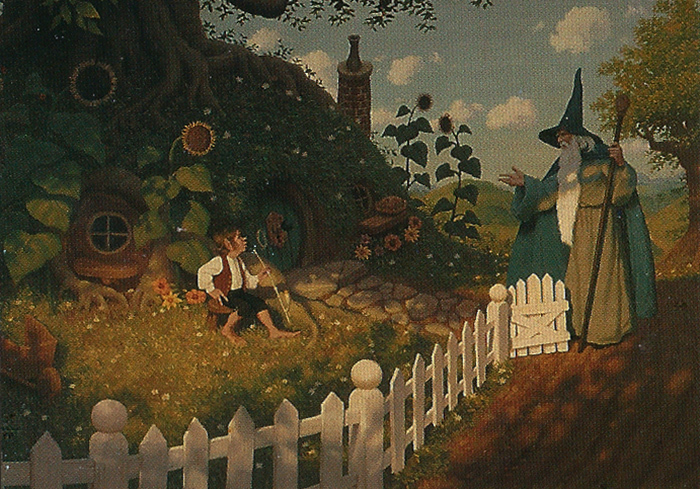 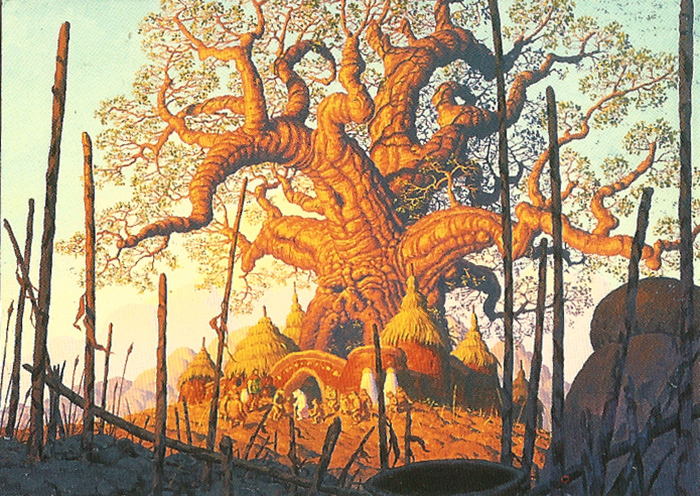 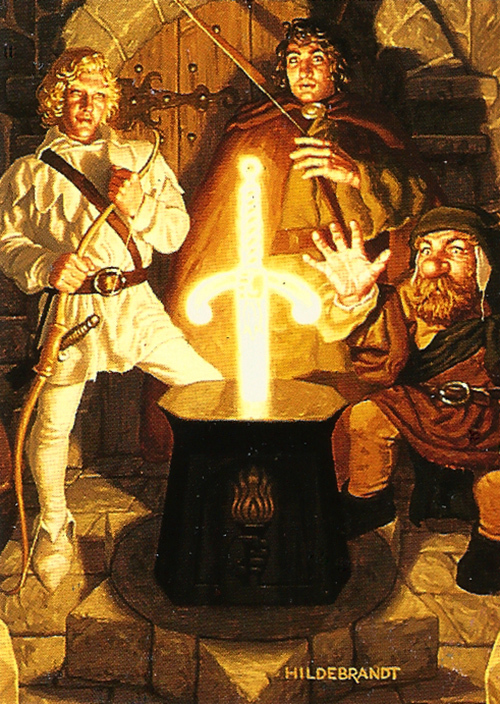 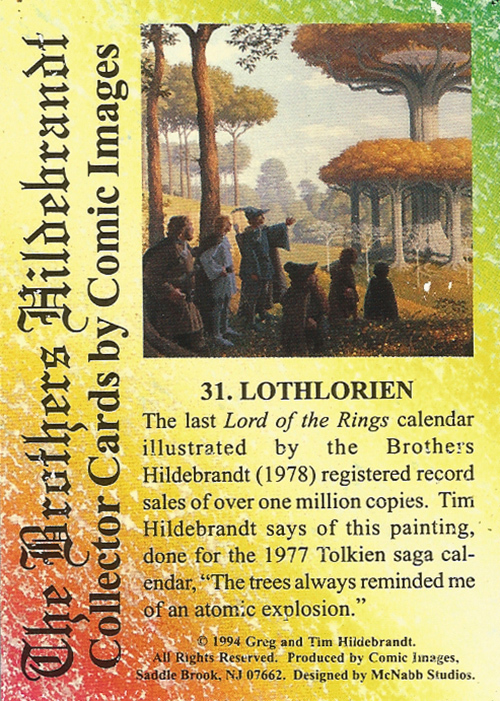 The four reprinted from the Hildebrandt’s Tolkien calendars – Lothlorien (card #31), Gandalf visits Bilbo (#38), the front cover to the 1978 Calendar (#39) and Saruman at Orthanc (#43) — show both their clear grasp of the subject matter, and why the Brothers’ calendars were so wildly popular. 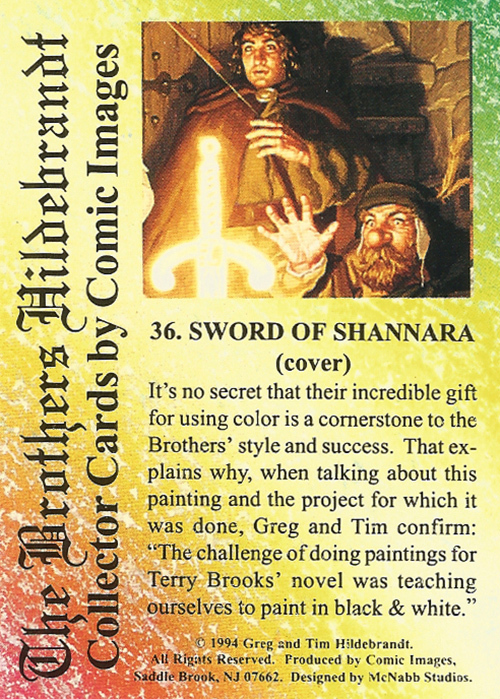 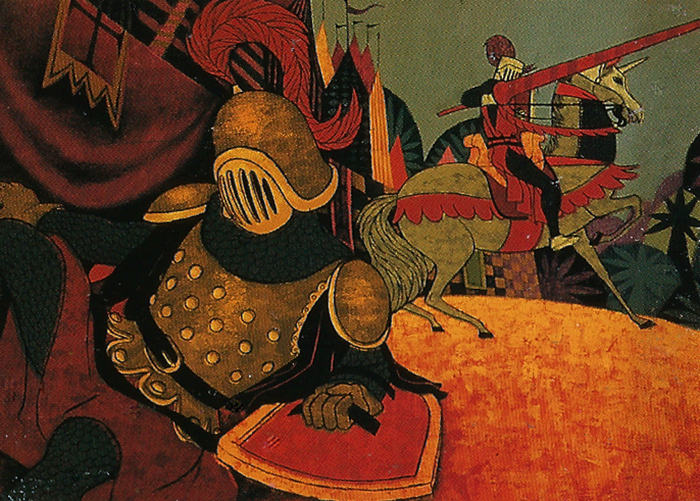 Their cover to The Sword of Shannara (#36) showcases their mastery of light and shadow, while The Joust (#35) and Tandy (#41) show how they could adapt their style to fit different subject matters. 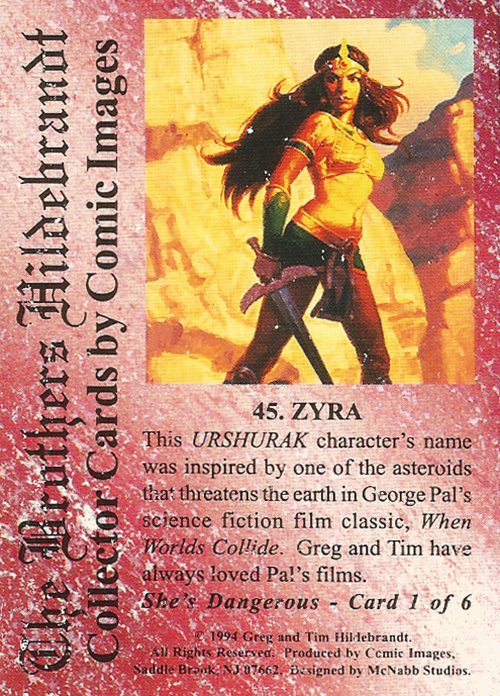 My favourite of this bunch is Zyra (#45), one of the illustrations from their novel Ursharak. 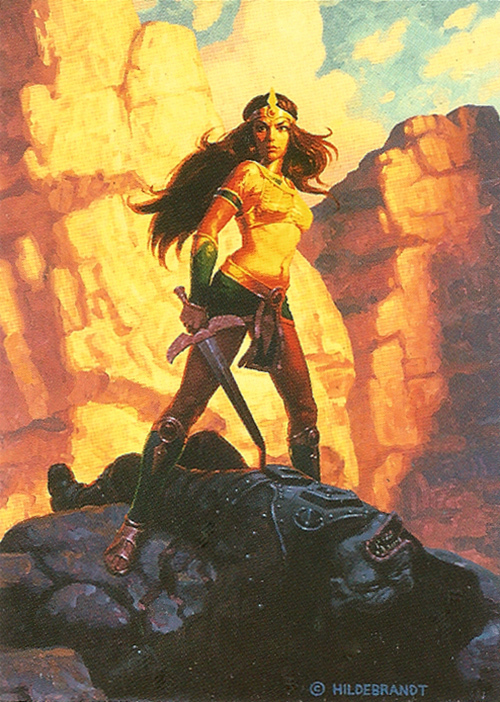 Not only is it a wonderfully dramatic image, with some stunning colour and shadow work, but its depiction of a strong female character is to be applauded. 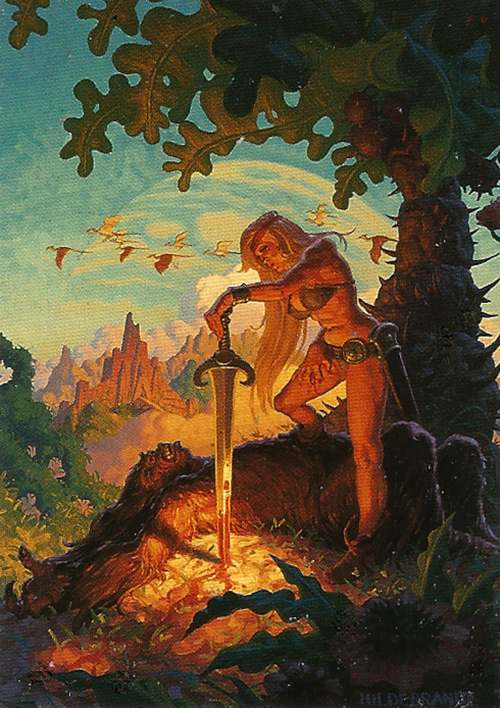 Too often in the fantasy art genre women are depicted are either victims or trophies, so it’s gratifying to see the Hildebrandt’s flipping that cliché around. 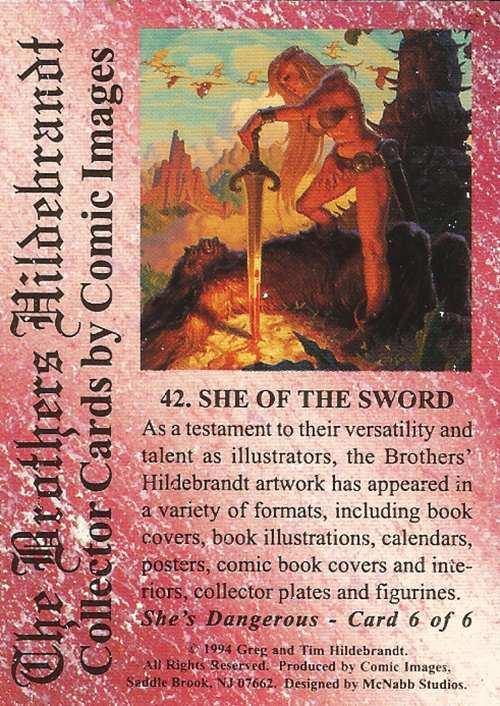 Here is the third batch of cards from The Brothers Hildebrandt Collector Cards, numbers #31-45 (both front and back) — cards #1-15 can be found here, while #16-30 are here. 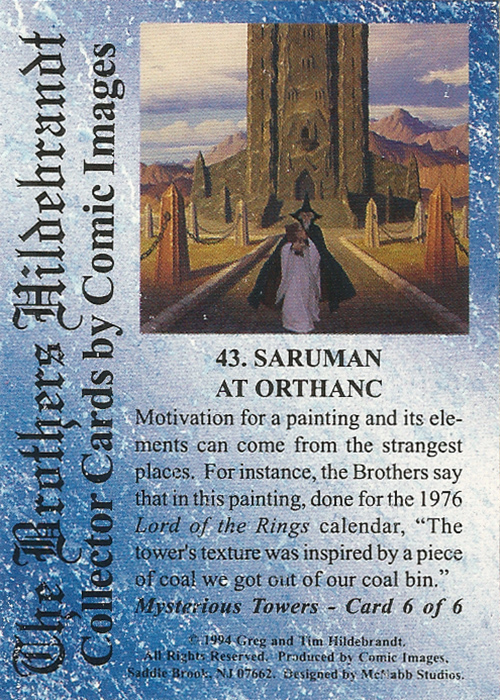 I’ll post the next batch of cards very soon (updated: click here).